The Sundance Film Festival is a film festival in the United States and ranks alongside the Cannes, Venice, Berlin and Toronto film festivals as one of the most prestigious in the world. It is the largest independent cinema festival in the U.S. Held in January in Park City, Salt Lake City, and Ogden, Utah as well as at the Sundance Resort, the festival is the premier showcase for new work from American and international independent filmmakers. The festival comprises competitive sections for American and international dramatic and documentary films, and a group of non-competitive showcase sections, including the Sundance Online Film Festival. This is your opportunity the mingle with the stars has just arrived. Picture yourself among the scenic mountain view of Utah, shushing down the slopes and taking in movie premiere after premiere. Millionaire Concierge has your ticket to the largest film fest in the US. Not only can we get you in, we can also provide luxury transportation, a five-star dining experience and anything your heart may desire. You name it, we’ll make it happen for you. Since its inception in August of 1978, this festival held has launched countless Oscar winning films and have been graced with the presence of every notable movie star one could imagine. Let Millionaire’s Concierge take care of all aspects of this glamorous 2 week event for you. 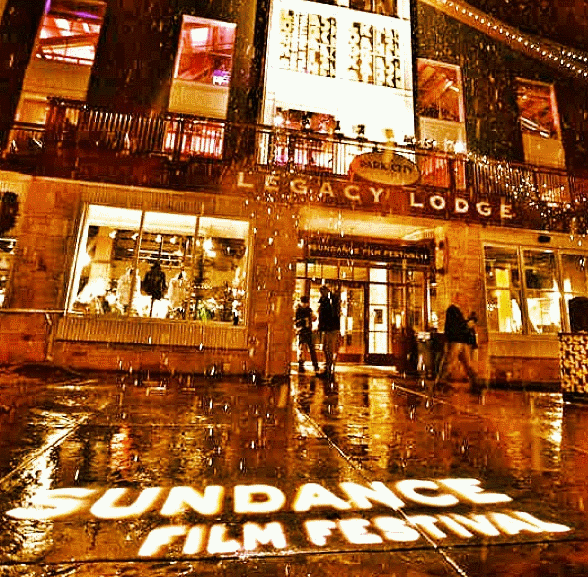 The Creative Coalition brings together executives, talent, and decision makers from the entertainment industry who are attending the Sundance Film Festival. The Teachers Making a Difference Luncheon, established in 2008, pays homage to the unsung heroes of education who make a lasting impression on generations of students. Every year, The Creative Coalition reunites notable actors with the teacher who made a powerful impact on their lives. This event has a reputation for being the most meaningful event at the Sundance Film Festival, often bringing the audience to tears during this reunion program. Past participants who have been reunited with their teachers include: Alfre Woodard, Rob Morrow, Joe Pantoliano, Steve Buscemi, Adrian Grenier, Cheryl Hines, Jeremy Piven, Tim Daly, Dana Delany, Wilmer Valderrama, Nick Cannon, Alan Alda, Lawrence O’Donnell Jr., Tom Arnold, Bill Pullman, and Joey Lauren Adams. Each year at the Sundance Film Festival, The Creative Coalition hosts a Spotlight Initiative Awards dinner to honor independent films, actors, and filmmakers who leverage the platform of the silver screen to make a difference in the world. Among this year’s honorees are Emile Hirsch, Cheryl Hines, Rose McGowan, Jonathan Pryce, Randall Emmett, Rory Kennedy, and David Wain. Past honorees include films Casino Jack, Margin Call, Precious, Hysteria, and The Sessions, among others. Filmmakers and talent who have been honored include Taylor Hackford, Sean Penn, Marcia Gay Harden, Quentin Tarantino, Spike Lee, Ewan McGregor, Lee Daniels, Melissa Leo, Elijah Wood, George Hickenlooper, Alan Arkin, Ellen Barkin, Kevin Spacey, Demi Moore, Stanley Tucci, Doug Liman, Adrian Grenier, Maggie Gyllenhaal, Kate Bosworth, Naomi Watts, Roland Emmerich, Morgan Spurlock, William H. Macy, John Hawkes, Jane Lynch, Shailene Woodley, Alfred Molina, and Matthew Modine, among others. What more can we say? Your theatre seats awaits. Call us today. Can I get access for myself and a guest? We often have the ability to secure access to exclusive events, so get in touch with us with your request, and we’ll try and work our magic.